Kambala is located only 7km from Sydney’s CBD, 4km from Bondi Beach and 18km from the International and Domestic Airport. 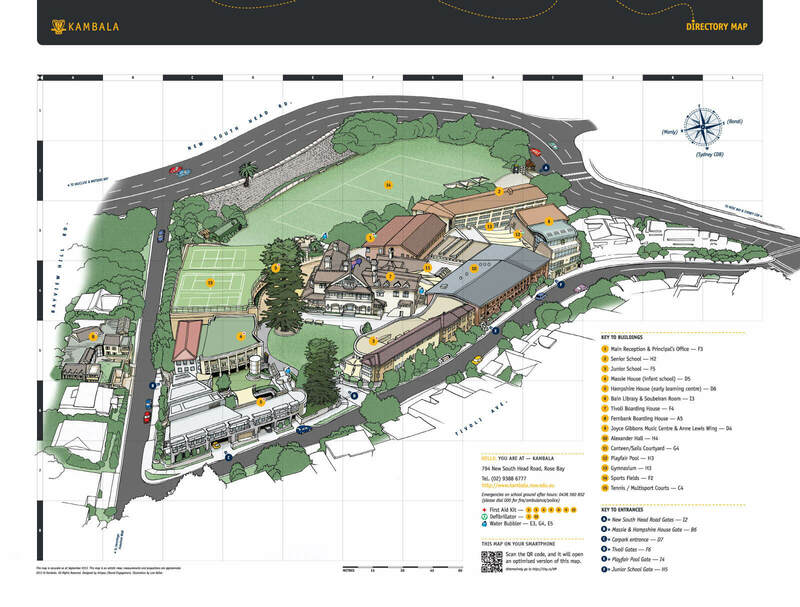 Kambala is situated on a single campus on the rising shore above Rose Bay, overlooking Sydney Harbour. Kambala values parent feedback. Should you wish to raise a concern you can do so by clicking the Feedback Tile on Sundial here. On Cahill Freeway, follow the signs to the ‘Airport’; after passing the Harbour Bridge or Harbour Tunnel keep a right to exit on ‘Kings Cross / Vaucluse’, and take a left on William Street. On the M5 East Freeway, follow the signs to ‘Sydney’ and after passing by Sydney Airport, continue straight following the ‘City’ signs; when entering the Eastern Distributor tunnel (toll), keep left to exit on ‘Kings Cross’, and take a right on William Street. On William St, continue straight through New South Head Road via Rushcutters Bay, Edgecliff, Double Bay, Rose Bay and Kambala will be on your left. Bus: 324 or 325 from the City and 386 from Bondi Junction ― drop off two stops after Rose Bay Village. Train: Eastern Suburbs and Illawarra Line; disembark at Edgecliff Station and take the 324 or 325 bus. Plan your trip using the Transport NSW Trip Planner.